Wexford is host to a unique 4 star boutique style family run hotel with a charming history. Established in 1964 the proprietors, Jim and Kay combined their norman names Whitty and Radford to form the name of their new bed and breakfast business. 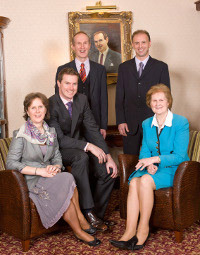 Their marriage was the bringing together of two families steeped in the Wexford traditions of friendship and hospitality. 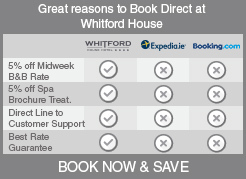 Now 50 years have elapsed and this 4 star property is one of the top hotels in wexford town. It still retains the unique atmosphere that can only be nurtured in a family-owned hotel, with the support of a wonderful dedicated team. It has been lovingly cared for through the years, giving rise to the large number of customers who return year after year for family holidays or to celebrate their own family occasions. Whitford House Hotel win "Overall Hotel of the Year 2016 & 2018".